It's feeling a lot like spring, so let's celebrate the warm(er) weather with inspiration from a favorite spring activity: gardening. Gardening wedding themes can be quirky and stylish, perfect for the eco-chic couple who loves the great outdoors. Plus, gardens come in all types and styles from veggie to rose to wildflower and beyond so you can really use any color scheme you want, and mix and match your plants and flowers to create a very romantic escape. 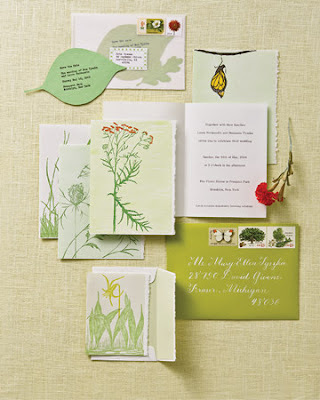 Show your love of all things green with simple floral invitations. You can create a theme, with your save the date, invite, and thank you cards all portraying a different type of flower, creating an informal but very pretty look. As a favor / place setting, use tiny potted plants. We think potted bamboo would be a great choice, but you can opt for something more leafy, or floral. This is a lovely way to add some color to your table settings, and give something nice for your guests to walk away with. 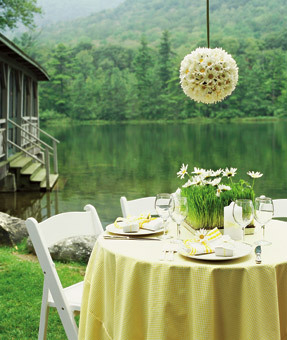 Instead of flowers, how about planted grass as a table setting? 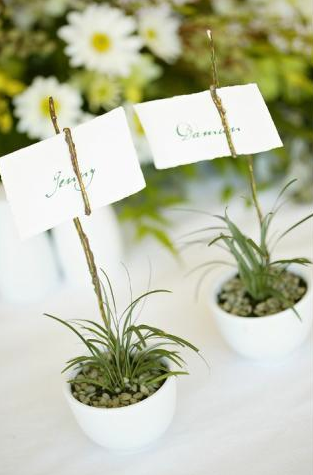 You can adorn it with smaller flowers, or keep it green and simple. This is an especially attractive choice if you and your guy aren't into florals, and it has a clean and modern edge to it. 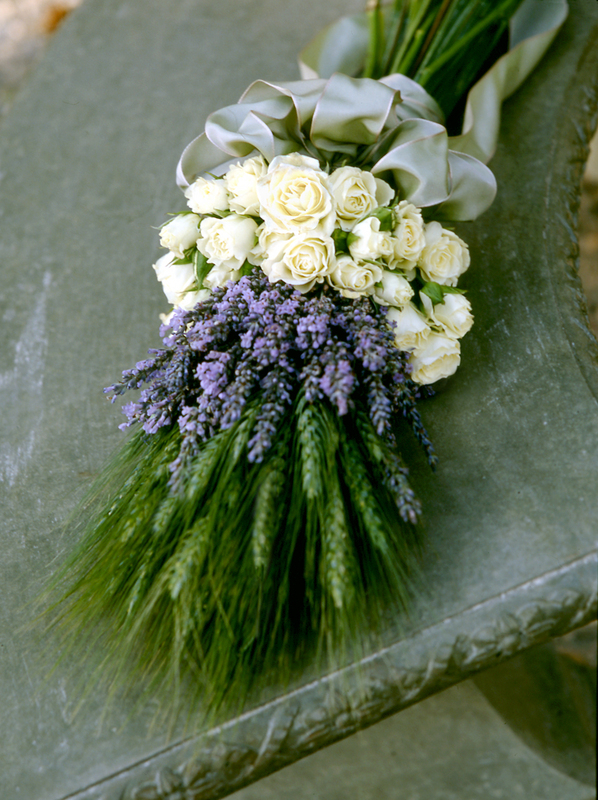 Have a fragrant walk down the aisle holding a herbal wedding bouquet. We're partial to lavender, but thyme and oregano make equally fragrant and flattering additions to your wedding bouquet. The more green, the better! Wearing a boutonniere is not every guy's dream, so make it subtle, like this mint boutonniere. 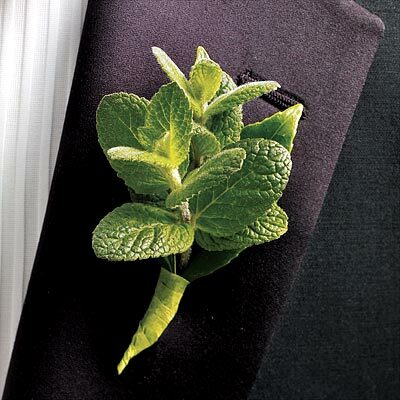 Not only does it look chic, but he can chew on this to freshen his breath before the big kiss! 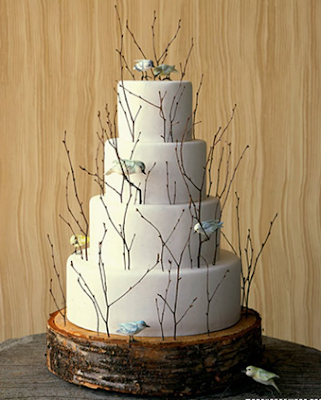 Make your cake look like something our of a fairy tale with little birdies hanging on delicate branches. We especially like the "tree stump" serving platter, which really brings the look together. Look like a faerie princess walking down the aisle with delicate flowers adorning your hair in lieu of a veil. This look is especially great with with soft curls or a loose updo, and is perfect for a laidback, carefree bride with a fun sense of style. Impressive! I really like this blog, keep update.